It’s past midnight and Shah Rukh Khan is still not done with promotions for his new film “Raees”. The notoriously nocturnal Bollywood star thinks nothing of interviews in the dead of night, but it can be quite an ordeal for journalists working normal hours. 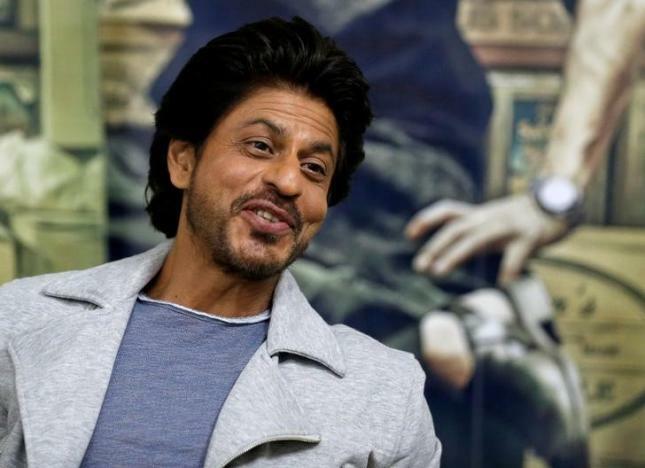 Khan, one of Bollywood’s biggest stars, has a loyal fan base that spans the globe. The aura hasn’t diminished despite his last few films not faring too well at the box office. “Raees” opens in cinemas next week with the 51-year-old actor playing a wily criminal who makes his fortune as a bootlegger. Q: It’s been a while since one of your films has been a mass entertainer that gets the industry excited. Would that be fair to say that about “Raees”? A: If you go by the director (Rahul Dholakia), then no. He’s hardly a mass entertainer. He normally makes very meaningful cinema. It comes as a surprise when people think it’s a massy (for the masses) film, because I have never planned to make a massy film. I don’t fit into that genre, I think. Maybe a “Chennai Express”, I’ll have to add comedy to it to make it more massy, but I have never done a massy film. “Baazigar” became that maybe, but the intention was never that. It would be wrong for me to say it’s more meaningful that a massy film. Rahul does write some telling cinema. But yes, the combination was meant to be of a film that is meaningful and yet has a popular reach. Perhaps that is why he cast me, and got Excel to produce it. He was ready to say that I am writing a realistic film, but I think it has far more reach than just keeping it in realism. It is set in the 80’s and 90’s, so we are trying to capture the era, the look, the music, etc. Maybe if it was a completely massy film we would not have been so detailed about it. I hope it turns out to be that combination – that someone who wants to see meaningful cinema takes something away from it, and someone who just wants to have a good time, and have lots of points to whistle at, also enjoys themselves. Q: As one of India’s biggest stars, is there pressure on you to produce films that make a lot of money at the box office? Does that play on your mind? A: Honestly, no. I never started from thinking as an industry person. I am from the outside – I don’t know how to do that. Q: You’ve been here long enough though. A: Yeah, but I still haven’t been able to convince myself that I know how to do that. If I thought like that, then I wouldn’t have done a lot of films that other actors rejected, like “Darr” or “Baazigar”. I got extremely fortunate that people were ready and the film was made in such a way that it was able to convince people of both sides. That it was different and still a popular film. So my struggle is to always maintain that balance. In between, I’m given to moments where I want to make a larger-than-life, in your face, summer blockbuster, and I enjoy that too. Because Farah Khan comes from that space – she cannot make a subtle film. She wants to make a happy-go-lucky festival film. But I still don’t make it very massy. A “Happy New Year” is not completely massy – it has all the trappings of a hit film on a holiday though. Yes, I would love to make a big hit film – as an actor, as a producer. But I am not given to designing films like that. Q: Are there people around who tell you should make that big hit film? Strange as it sounds, even though it’s just a film, it is quite a creative process. And when you have been doing it for 25 years, you are always trying to find a nuance that is different from the last time. Maybe nuances are not noticed by everyone, and it’s all right. I don’t expect everyone to know my job. I believe that I am the best know-er of what I should be doing, with my limited talent and knowledge. When it comes to people telling me what to do, I listen to everyone and say thank you very much. Q: What has affected your film choices over the last few years? A: Just the ones that have been offered. I have never designed a film for myself. Directors come to me and ask me what I would like to do, and I tell them “you tell me what film you’d like to make”. That’s an actor’s job. You don’t always have to believe in what the director believes, but you have to convince others of it. Sell the dream, you sell the character. That’s what makes an actor. My choices stem basically from the state of mind I am in. Sometimes you have to find a business logic in some of the films, but that is after I have chosen the film. The film itself is not chosen on that basis. Like in “Dear Zindagi”, we produced it also, so we knew we couldn’t make it too expensive, because it has a niche-ness and it cannot be sold as a Shah Rukh Khan film. Q: “Raees” has been in the news because of protests against Pakistani actors. What do you think the solution is so that artists from across the border are able to work here? When people ask me, is this right or wrong – this is the current state of times. And I am not here to change the current state of times. I am an entertainer and I am supposed to make you feel happy in this current state of times. Solutions for this, somebody will find. And when they find it, they’ll tell me. I am not here to solve problems. I’ll be stupid if I was to think that I will change through my films. There are people who believe they can, and God bless them. I fully understand when people take up cudgels and say cinema can change the world and cinema can do this and that. It should not. It should reflect the world we are in. A book cannot change the world. It can reflect the world we are in. It can inspire you to go out there and change the world. But a movie can’t change your world. It’s not meant for that. You are giving it much larger perspective and responsibility. And movies are not just for messages, they are for entertainment too.